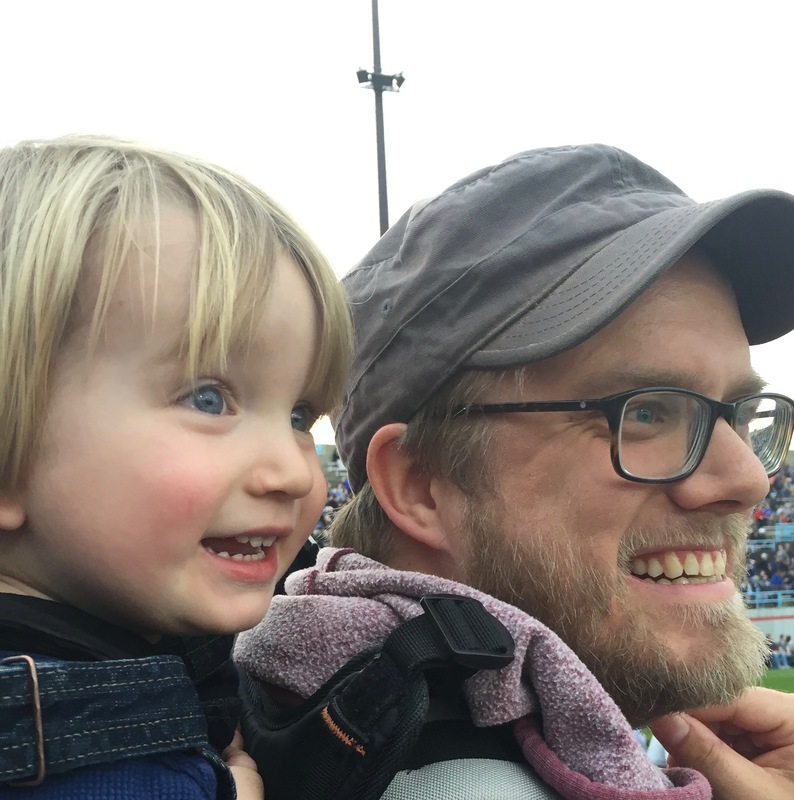 Minnesota United FC outlasted Real Salt Lake 3-2 at home thanks to goals by Ibson, Darwin Quintero, and Miguel Ibarra. The visitors staged a comeback with second half substitute Joao Plata scoring two, but fell short of stealing any points from the Loons. Minnesota again came out in their newer look 3-5-2 formation. Francisco Calvo, Brent Kallman, and Michael Boxall were the three center backs in front of goalkeeper Bobby Shuttleworth. Ibson was back in the starting lineup, lining up in the midfield next to Rasmus Schüller. Ibarra and Alexi Gòmez were tasked to run as the two wing backs, while Collen Warner played as the defensive midfielder. Up top, Quintero played underneath Christian Ramirez in a free form, hybrid 9/10 attacking playmaker role. The game was a tale of three halves, if there were such a thing. The first half was mostly forgettable, with both teams happy to play possession-based soccer, with only a few solid chances on goal to show for their efforts. 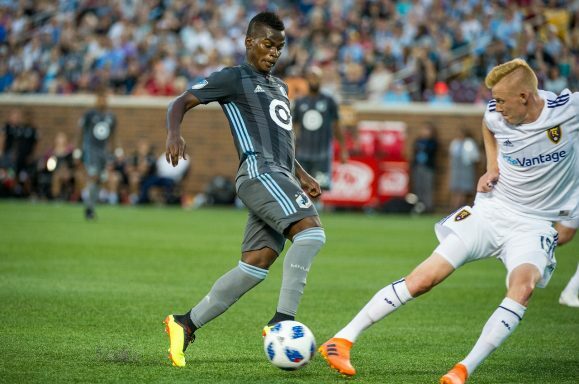 Quintero, whose play in the second half would spark the win for Minnesota, came closest with another chip that nearly beat former USMNT goalkeeper Nick Rimando in the 12th minute. It was in the second half that the fireworks started. For the first 25 minutes, Minnesota looked like they could score at will. It started in the 52nd minute with a beautiful long ball from Calvo. Justen Glad fell defending Quintero, claiming he was pushed by the diminutive Colombian. Quintero passed the ball into the box where Ibson would be the one to put it home. Real Salt Lake coach Mike Petke would be sent off for complaining about the lack of a call or review on Minnesota’s first goal. The second goal would again feature Calvo and Quintero, this time with Calvo making an early pass to Quintero and then following the play all the way into the box. Quintero wouldn’t need to pass on this one, instead sending a chip that this time beat Rimando. Quintero featured in the third goal as well. He chased down a ball along the right touchline, then sent a perfect through ball to Ibarra, who slotted in into the back of the net with ease. In what would be the late game substitution that would bring about the “third half.” Plata came on and immediately made a difference. The first came off a free kick from just outside the box. Two short passes gave him the space he needed to slot it home between the wall as Minnesota was slow to react to Real Salt Lake’s movement. His second goal came due to a lack of closing down by Minnesota, giving Brooks Lennon the space to send a perfect ball into the box that Plata headed into the net. The ref blew his whistle soon enough, and Minnesota was able to start their three-game home stand with three points.